You’ve always got to have a good concealer to hand. 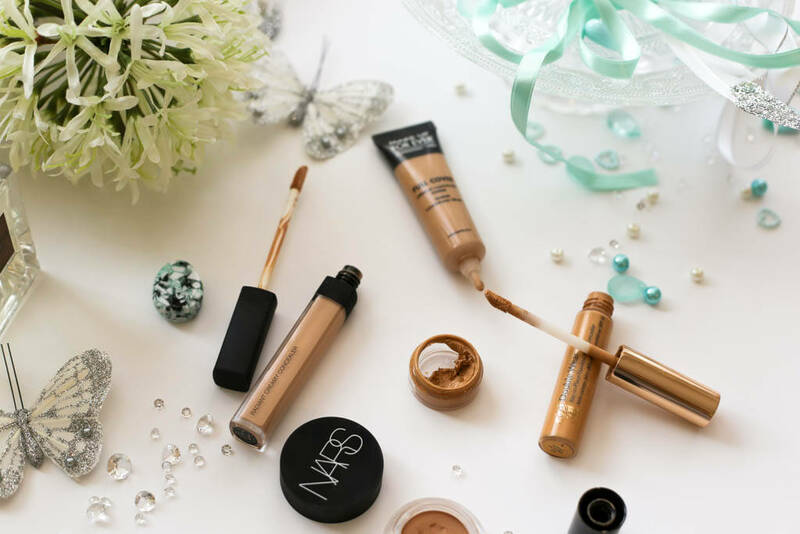 Whether it’s to disguise those dark circles or to camouflage unruly blemishes and marks on the skin, a concealer completes your look. 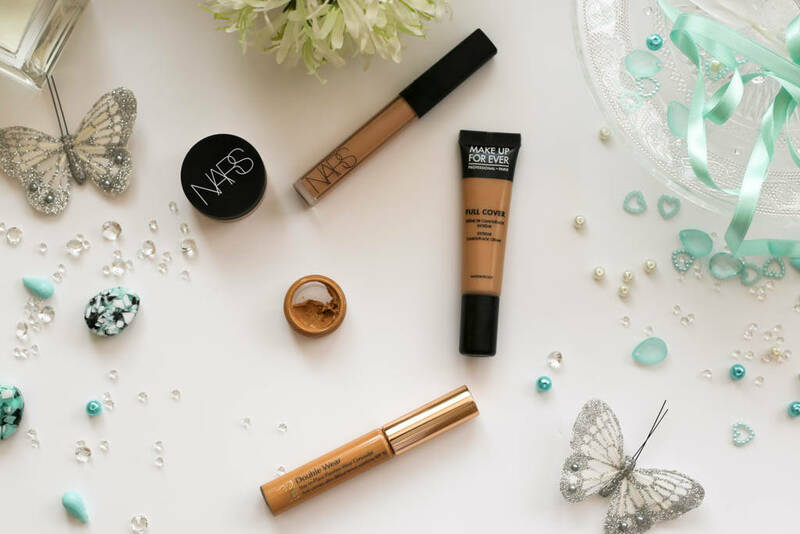 It shouldn’t replace the need to get your foundation right, assuming you wear it of course, and no matter how much you think you need to conceal, I think a natural effect is always best – that is the skin looks like skin and not a mask. For me, I have three types of requirements when it comes to concealing. The first is to conceal under the eyes (always a must for me), the second is a brightening concealer (I don’t do this all the time and typically when my foundation is say a tad bit too dark and I want a brightening effect) and lastly is pin-point concealing to cover any blemishes or marks on the skin. In the past I used to have one concealer and hoped that it would do all three jobs, but now that I am bit more beauty savvy (or at least I like to think I am), I have realised that this is not the case as each area of the face requires a different tone i.e. a peach tone that I need to counteract my dark circles is probably not going to look so good to mask a blemish if you catch my drift. I’m not joking it took me years to find a concealer that is perfect for this area of the face. 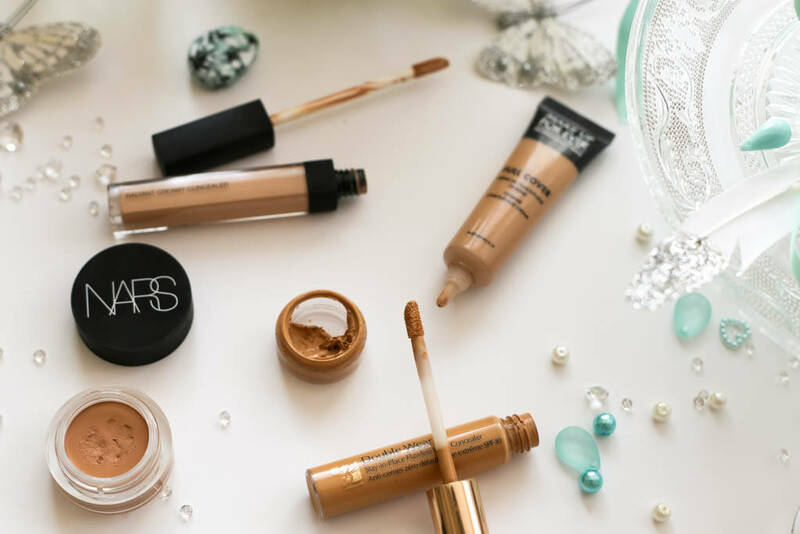 From a variety of high-end and drugstore versions to even just relying on my foundation (which I know you should never do), I finally stumbled on the Estee Lauder Double Wear Stay-In-Place Flawless Wear Concealer SPF 10 and I just haven’t looked back. It featured in my Base Staples post which you can read here. I wear the shade Warm Medium which is very peachy and perfect for counter-acting my dark circles. The doe foot applicator makes applying it very easy and the consistency is just perfect for the under-eyes making blending easy and creasing non-existent. 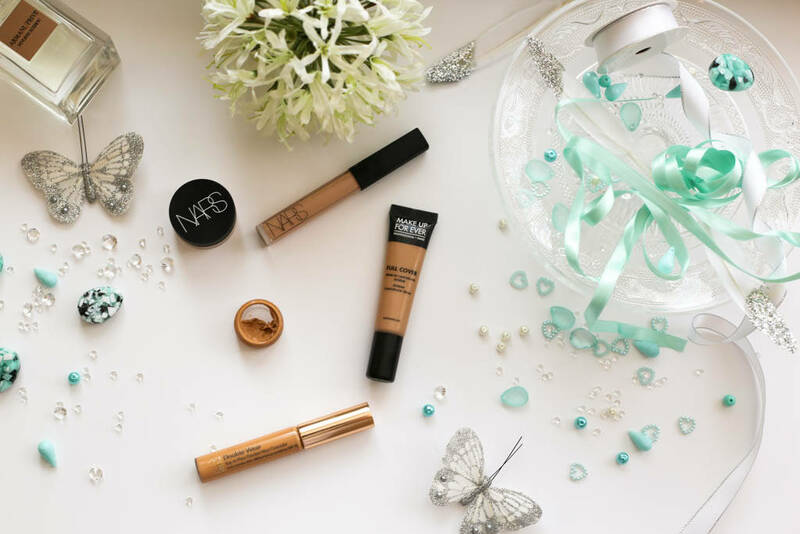 Nothing does it better than Nars Radiant Creamy Concealer in my opinion, I mean the name says it all. Technically you could use this to brighten your under-eyes which is what a lot of people use this product for in fact. For me, however, I never really got on well with this as an under-eye concealer or for concealing blemishes, but to lift and brighten up the high points of my face like along the bridge of my nose, the cupids bow and along the cheek bones, this gets a high five from me. I have the shade Custard which compliments my Nars Sheer Glow Foundation in Punjab perfectly. I have three that fulfil this need. The first is the Kevyn Aucoin The Sensual Skin Enhancer in shade number 8. I got a sample pot of this back in January 2016 and I still haven’t finished it! You literally need the tiniest amount of this heavy-duty, creamy little wonder. Highly recommend this. Next up is the Nars Soft Matte Concealer in the shade Macadamia (1.5 Medium). 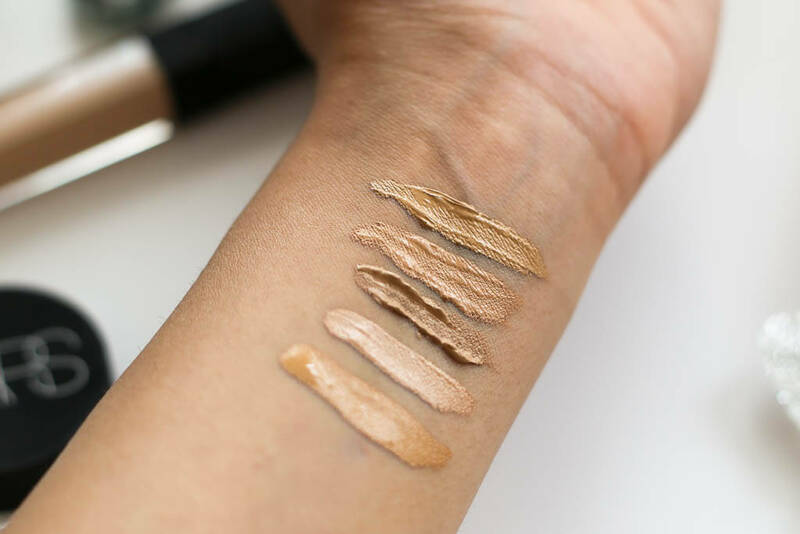 The texture is a bit more drier and therefore requires more in the way of blending, nonetheless it does a good job at concealing blemishes and marks. Lastly is the Makeup Forever Full Cover Extreme Camouflage Cream in shade number 7. This is on par with the Kevyn Aucoin The Sensual Skin Enhancer as it is very creamy and a little goes a long way. The only thing is that I prefer to use a small fine brush (something like a lip brush) to apply any concealers on blemishes, but as this comes in a tube it means that I end up wasting a lot of product. Apart from that though this is an excellent concealer for blemishes and applied in moderation still leaves a natural finish despite being full coverage.